Rain boots are made to protect your feet from wetness. In the past they were mostly clumsy and not very stylish, but that is definitely a thing of the past. With the rubber boots in our shop you can come at any time and at any place for the day. We have the famous Dunlop boots, but also other boots and knee boots. Also for children's boots, you're right here! Can rain boots give ladies an elegant look? Indeed! We have a large number of trendy rain boots, including those of the Danish quality brand Ilse Jacobsen. These ladies' rainboots do not only keep your feet dry, but ensure that you look stylish. Thanks to the fashionable, modern look these rain boots can be called a fashion item . Are you looking for a boot that does not have to be elegant, but keeps your feet warm? 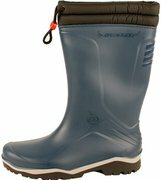 We also have padded rain boots in a large number of sizes. 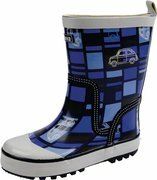 For cute or tough children's rainboots, you must also be with us. Looking for rain boots from Ilse Jacobsen? Keep in mind that these fall half to one size larger than normal boots or shoes.